The Wii U spent 2016 on life support, relying on a slow trickle of exclusives to keep owners from pulling the plug completely. As Nintendo prepares to release the Switch in March, the Wii U readies its dying breath. Nintendo has made a point of saying that the Switch is not a replacement for the Wii U, but it sure feels like the company is trying to keep its four-year-old console alive just long enough for something better to come along. It’s as if Nintendo is pulling a Weekend at Bernie’s with the Wii U, sporadic big game releases briefly animating the console’s corpse long enough to maintain the illusion of life until March. Production is ending in Japan. Nintendo hasn’t given the Wii U a major price cut since launch, and $300 for a console that’s obviously on its last legs isn’t very compelling. 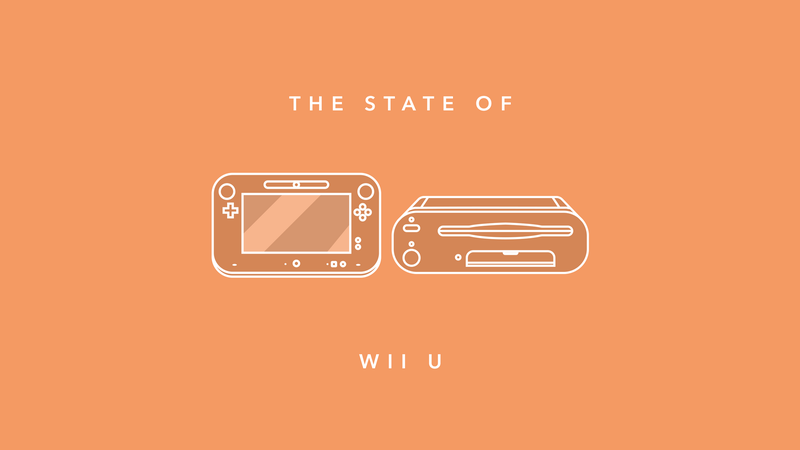 The more the Xbox One and PlayStation 4 operating systems change, the more the Wii U stays the same. The last update for the Wii U system software was Version 5.5.1 U, released on January 11, 2016. It provided updates to system stability and minor updates to usability. Hooray! The Miiverse community continues to be a source of amusement for Nintendo fans, but that’s equal parts Wii U and 3DS and will likely continue with the Switch. The only significant changes to the services offered on the Wii U in 2016 was the discontinuation of the Google Maps powered Wii Street U and the addition of the Rhapsody music service. Major Wii U game releases were few and far between in 2016. Including Wayforward’s Shantae: Half-Genie Hero in late December, the Wii U saw less than 20 retail releases in 2016, with the bulk of this year’s new games made up of downloadable indie fare released via the eShop. While the usual third-party, multi-platform. family-friendly games continued to appear on the Wii U throughout the year, Nintendo consoles tend to be driven by first-party exclusives, and there just wasn’t a lot of driving being done in 2016. The first Nintendo-published game for the Wii U in 2016, The Legend of Zelda: Twilight Princess HD, didn’t arrive until March 4 in North America. It was followed by the Namco Bandai-developed Pokémon fighter, Pokken Tournament. It’s an enjoyable fighting game in desperate need of an update adding the new characters introduced in the arcade version, an update Nintendo currently has no plans to pursue. In April Nintendo released one of the most disappointing sequels in company history, Star Fox Zero. The game, plagued by tricky experimental controls and an overall unfinished feel, was far from the hit it should have been for the console. Its quirky, barely-related companion game, Star Fox Guard, was much more enjoyable, but overshadowed by the failure of its co-release. June saw the release of one of the best role-playing games on the Wii U, Tokyo Mirage Sessions ♯FE. Despite heavy edits between its Japanese and Western releases to pare down risque content, the crossover between Atlus’ Shin Megami Tensei and Nintendo’s Fire Emblem series was a shining light in a relatively dark year. Nintendo ended its 2016 Wii U publishing year with the October 7 release of Paper Mario: Color Splash, a quirky game that fans of the series weren’t too keen on. Earlier this year, Nintendo released data on the number of physical games released on each of its consoles to date. As of June of this year, the North American Wii U had 39 first-party and 118 third-party games, the lowest of any Nintendo platform to date (except the Virtual Boy). Since then, only five games have been added to the tally. It’s pretty clear the direction the Wii U is heading. Two weeks after the release of Paper Mario: Color Splash, Nintendo officially unveiled the Switch. The debut trailer for the console featured many games made popular on the Wii U, like Splatoon and Mario Kart 8. It definitely feels like the Wii U is being replaced. Also featured prominently was The Legend of Zelda: Breath of the Wild. Just as Twilight Princess was released for the dying Game Cube and the newly-launched Wii, Breath of the Wild straddles two generations of Nintendo hardware. Considering the state of the Wii U in 2016, Breath of the Wild is likely to be the four-year-old console’s last gasp.